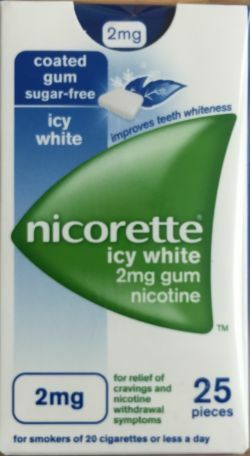 Stopping smoking is a challenge. 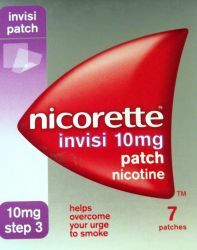 The biological addiction to nicotine, the temptation of a psychological addiction and a set smoking ‘routine’ can make quitting difficult. 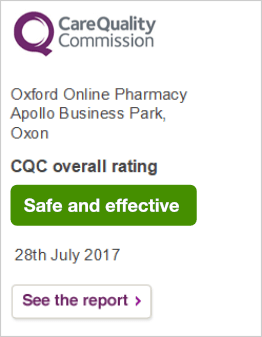 However, with help from our online GP, you can buy stop smoking medication and treatments - such as Champix tablets - that can increase your chance of quitting, enabling you to enjoy a smoke-free life. 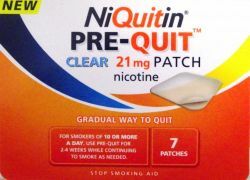 If you would like to discover more about how you can stop smoking please click here. 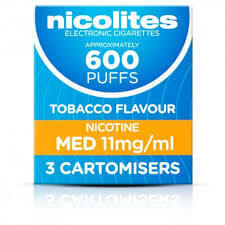 We provide a free online consultation with a GMC registered doctor, and if you are approved the doctor will provide you with a private prescription and dispense either our doctors first choice stop smoking medication Champix, or the treatment Zyban which are stop smoking tablets. 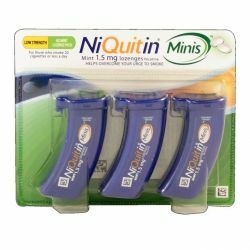 With these tablets, you are four times more likely to quit smoking, as Champix and Zyban block the effects of nicotine on the brain. 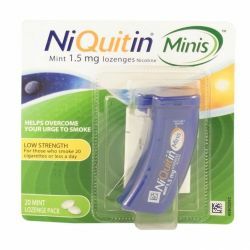 Nicotine is a drug that stimulates the brain, as a regular smoker, you will notice withdrawal symptoms when your blood level of nicotine falls. This may leave you feeling irritable, restless, anxious or hungry. 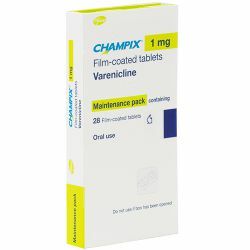 However, these symptoms are relieved with your Champix or Zyban tablets, making stopping smoking manageable. 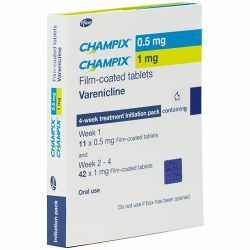 Champix is a 12 week course, to complete your course you will need 1 x Starter pack, 2 x 56 1mg tablets & 1 x 28 1mg tablets. Zyban is a 9 week course, to complete the course you will need 120 tablets. Start taking Zyban 150mg Tablets while smoking, set a Target Stop Smoking Day, ideally a day during the second week of taking Zyban. Swallow these tablets whole, DO NOT chew, crush or split them. 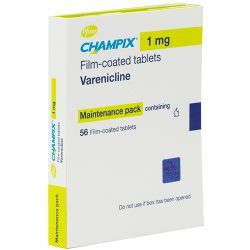 Week 1- Days 1 to 6 ONE tablet (150mg) to be taken once a day, Day 7 increase dose to ONE tablet TWICE a day, atleast 8 hours apart and not near to bedtime. 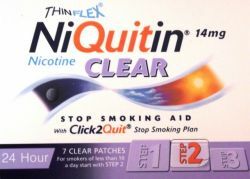 Week 2- Continue to take ONE tablet TWICE a day, Stop smoking this week on your Target Stop Smoking Day. 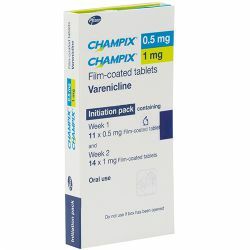 Weeks 3-9- Continue to take ONE tablet Twice a day for up to 9 weeks. 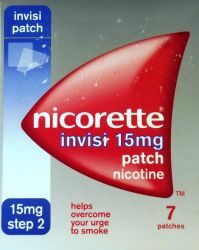 If you have not been able to stop smoking after 7 weeks contact the prescriber of the medicine. 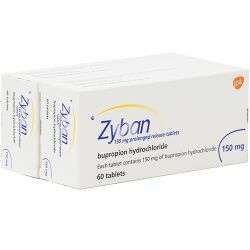 If you take more Zyban then you should (more then 2 tablets in 24 hours) Consult your pharmacist, doctor or nearest hospital emergency department IMMEDIATELY. Around 40% of smokers will die from a smoking related illness, so if you really want to quit smoking then our online pharmacy can help. 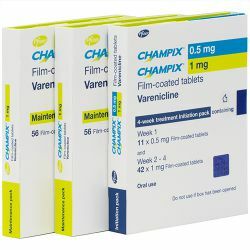 We provide a free online consultation with a GMC registered doctor, and if you are approved the doctor will provide you with a private prescription and dispense either our doctors first choice stop smoking medication Champix, or the treatment Zyban which are stop smoking tablets. 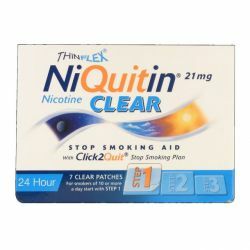 With these tablets you are four times more likely to quit smoking, as Champix and Zyban block the effects of nicotine on the brain. 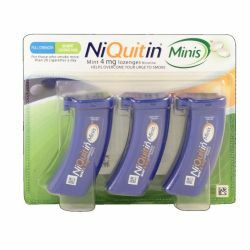 Nicotine is a drug that stimulates the brain, as a regular smoker you will notice withdrawal symptoms when your blood level of nicotine falls. This may leave you feeling irritable, restless, anxious or hungry. 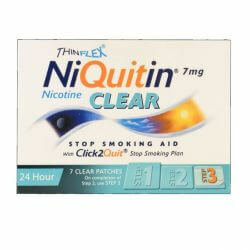 However, these symptoms are relieved with your Champix or Zyban tablets, making stopping smoking manageable. 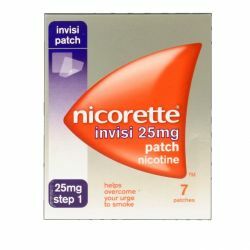 Some people worry that if they stop smoking they will put on weight. In practice there may be a few added pounds, but the benefits of an improved healthy lifestyle and added fitness can quickly erode this problem. Simply take more exercise, as 2 and a half hours exercise per week is recommended for the average adult. 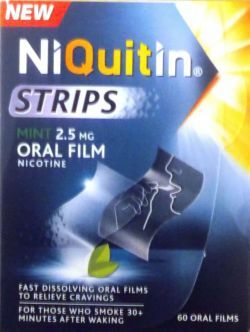 At Oxford Online Pharmacy, our quit smoking service consists of an online consultation with our GMC or EU registered doctor and the provision of Champix or Zyban prescription only stop smoking medication. 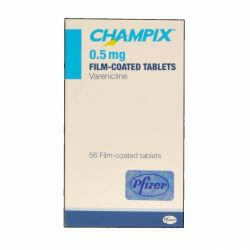 To order Champix tablets or Zyban pills, please click here. 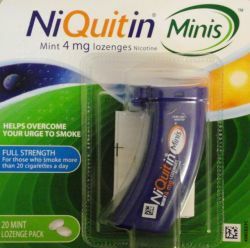 Are e-cigarettes really the best way to quit smoking? Stoptober 2015 - kick smoking this October!